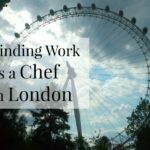 You are here: Home / Chef, Becoming, Being, Living a Chef's Life / How to Become a Chef? 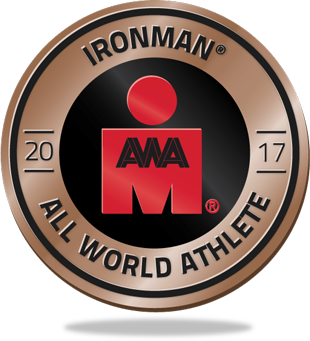 Blog updated on March 11, 2019 4 Comments Any post on this site may contain affiliate links. If you use them they cost you no extra. We make a small commission. 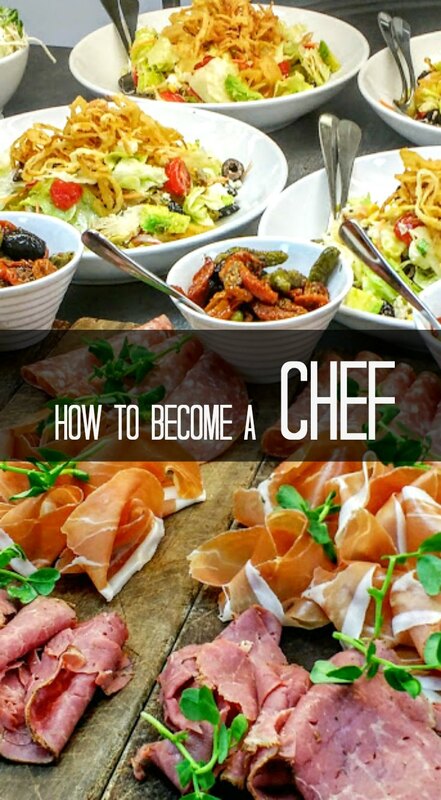 How to become a chef? When I started in the food industry there was really only one way. Becoming a chef was straight forward and held fewer options than are available today. An apprenticeship involving on the job training plus Tafe/College. In Australia the apprenticeship lasted from 3-4 years, starting at 18 or 16, and gave you a great grounding in hospitality and kitchens. The UK is slightly different in that most trainee chefs start younger, at 16, and complete 2 years of college before moving to the work force. City and Guilds was the established standard in days gone by but has now been replaced by the NVQ certification. Today there seem to be any manner of ways you can become a chef. As with anything, some are better than others. 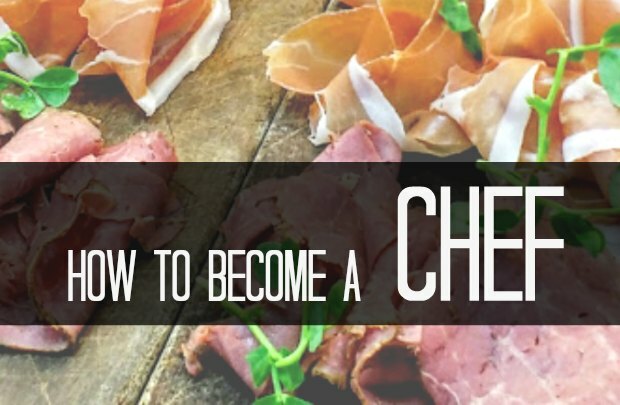 How to become a chef in this instant world where everyone thinks they can master anything quickly? 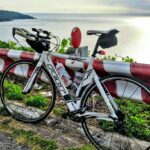 Regardless of which route you take, the most important attributes in the candidate are drive and work ethic. This is true for most professions but more so in the catering industry. I think the TV cooking show don’t help and give false expectations. Potential students come away from these shows thinking that you can cook a 3 course meal from scratch in an hour. Some become disillusioned when after a few months they can’t cook like Ramsey and more importantly, are not allowed to work in all sections of the kitchen. I see this time and time again with kids that don’t want to work in larder or veg sections preferring the more glamourous divisions. With zero skills behind them it would just set them up to fail if they moved on so quickly. The apprenticeship is 3-4 years because it takes that long to learn and practice the skills in the kitchen. After that amount of time you know enough to be useful but you are still a long way from being a complete chef. This is tied into the above in that even with drive, it still takes patience to make the grade. There are so many cooking methods and techniques that it,s unlikely you’ll master them all but you need a firm grounding in the basics. Without understanding your whole knowledge is built on sand. I see chefs who have gaping holes in their knowledge come unstuck when difficult situations arise. My former exec chef told me once, why race to become an exec chef when you can spend the next 30 years doing it. 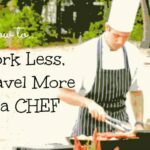 Get it right and focus on becoming a great exec chef first. That applies to nearly all kitchen positions but is rarely adhered to. These have become very popular of late. People taking a hospitality management degree and then becoming an intern for a short period. Unfortunately these courses result in general knowledge about numerous areas but no in-depth knowledge at all. I’m of the opinion that this will cause a big skills shortage in the hotel industry in the next few years. New chefs rush through the hotel doing no more than a few months here and there. This is OK until something that takes experience to deal with crops up. Most are left lacking those skills after university courses and don’t have the experience to solve a problem or take things forward in different directions. In the next decade as the older workers leave the industry specialist knowledge will be lost and won’t be easily replaced. For me this is the worst way to become a chef. An apprenticeship of sorts without the formal qualifications via Tafe or College. Not nearly so common today as the world has become a certificate based. I think these candidates have a lot of merit though. If you can stick it out and are self driven enough to complete the required time on the job without anyone’s help, then you’ll more often than not succeed. It comes back to the patience and drive parts of being a chef. There simply is no quick way to become a high ranking chef (or any job for that matter, if you want to do well) regardless of what schools, universities and institutions say. 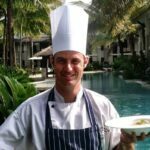 This is a good way to become a chef but one thing that tends to be lacking is the classical skills that would be learnt at Tafe or College. While the number of ways to become a chef have changed there are still really only a few that I personally recommend. The on the job training through either a formal apprenticeship or self taught is the still the best and continues to bestow the benefits of in-depth knowledge. 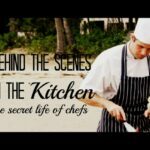 Even as the institutions slowly cut down the time required to achieve the qualification, you’re still exposed to more experiences in the kitchen. Perhaps you don’t want to be in the kitchen forever and are using it as a stepping stone to other positions in the hospitality industry. In that case the university internships maybe be more for you, just as long as you realise the limitations of internships. Any chefs out there have anything they want to add? This is for you for pinterest. James had a love of cooking from a very young age and many the time when i was tired or unwell he would hop in and cook the evening meal for the family. I never thought it would result in such a successful career enabling him to travel and work overseas. Thanks Suzanne, You could say it all started because of the apricot chicken! My husband was very fortunate to have some great executive chefs early on that taught him everything they did as they went. He was a fast learner, read everything culinary he could get his hands on and is a hard worker. It totally paid off. I’m so proud of him. Thanks for reading Jennifer, Good to hear because its so important to have some great Exec Chefs when you’re starting out and going through the ranks. They keep you grounded and on course with a good career and career moves. He’s certainly doing brilliantly from what I read in your blog. He deserves the praise, kitchen jobs aren’t the easiest out there that’s for sure.